Who says the weekend has to come to a standstill come Saturday and Little Miss India agree! Little Miss India, the eccentric restaurant and cocktail lounge at Fairmont the Palm is launching a Saturday brunch. LMI will have a concept focused on ‘share and tear’, family style dishes and brilliantly infused beverages, it promises to be an informal way to dine with friends and family and see out the weekend. 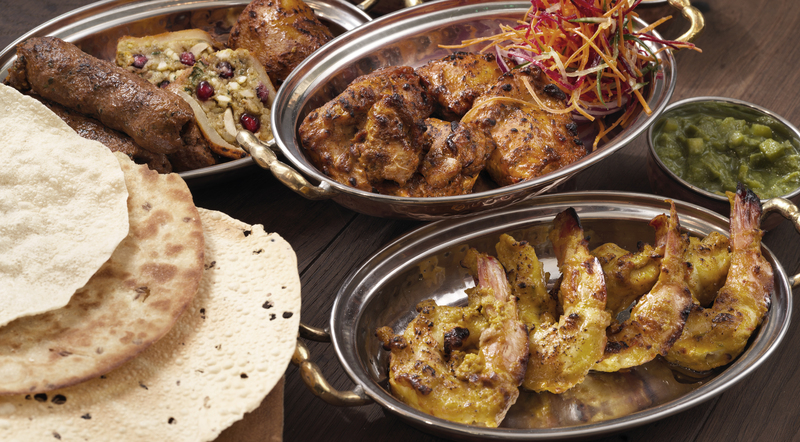 Little Miss India is known for bringing regional Indian flavours to Palm Jumeirah and this afternoon brunch entails a three course menu including an enormous selection of sharing style dishes all made from fresh ingredients. Feast on appetisers galore, main courses and of course, deserts which are brought to the table as you relax and sip fragrant signature cocktails and fruity cocktails poured straight from its iconic tribal truck bar – can you say Instagram moment? Standout dishes are said to include lamb,chicken and prawn kebabs, Tandoo Aloo and Paneer Tikka with mains featuring its infamous butter chicken, Lamb Bhunna, Tikka Masalas and selections of Indian breads and sides. Of course, no Dubai brunch is complete without finishing by enjoying a sundowner on the alfresco terrace overlooking the breathtaking Dubai Marina Skyline. For reservations, call +971 4 457 3457 or email palm.dining@fairmont.com.